Get up to £800 bonus for new investments. Terms and Conditions apply. When investing, capital is at risk.  It’s easy to open an IFISA and in just a few minutes you can start investing with returns up to 7.25% p.a. When investing, capital is at risk. Tax treatment subject to status. Fixed is an exciting new quarterly magazine with savings and shopping tips, plus the latest in financial technology, apps and more. Crowdstacker is an exciting platform that allows you to lend like a bank to growing and established British businesses and earn interest on your money at more interesting rates. When investing, capital is at risk. I have nothing but the highest regard for the Crowdstacker staff. In every contact that I have had, they have always been personable, attentive and helpful. Their website is easy to follow and very user friendly. It seems to me that their focus is very much on good customer service.  Been investing for 18 months with all payments made on time. Rates way better than standard savings accounts and even got through immediately to a human being with an early afternoon query so no complaints to date. Very happy with the services received. First investment now returned in full. I am very impressed with their overall strategies and approach to diversifications for additional security. Easy to understand and use. Plus a good rate of return. A painless and enjoyable experience from start to finish with absolutely no issues whatsoever. Would recommend to friends and family without any hesitation. First class, would recommend. The customer experience, feeling of trust and ease of use was fantastic. Much better than other firms I have used. These people have been fabulous, ring you speak to a human being, they answer queries straight away, interest always paid when expected! If you are considering an investment, I would recommend them!  Good experience investing in the new IFISA - comprehensive, easy-to-follow website and great customer service. Excellent communications. Smooth transfer of existing building society cash ISA. All the information is there on the websites including a very comprehensive explanation of the risks and rewards. The Clearwell, ISA eligible, Bonds offers 7.25% p.a. fixed interest paid monthly for 3 years. Clearwell will use the investment to provide finance to small residential property developers. The funding will allow these property developers to build new homes across the UK. Investment is secured on the loans to property developers, which are themselves secured on property. The Bonds offer a further 4 step security package, including a debenture over Clearwell Finance and a guarantee from Capital Capital Group.